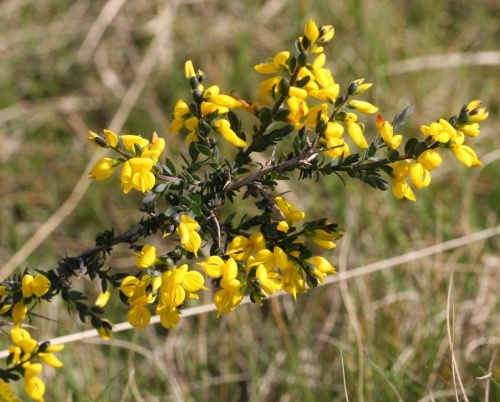 A small spiny shrub which can grow up to 1 metre tall but is often smaller. The flowers are yellow and are in short spikes, They are quite large (up to 1cm) with the keel petals longer than the standard. The leaves are pointed ovals. It has long, but weak spines. Found in the lowlands on relatively humid grass heaths and around the drier fringes of bogs. In upland areas it occurs in heathy, damp, unimproved pastures. 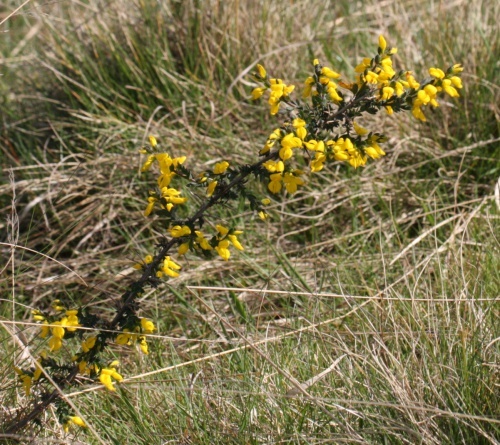 Local in Britain with most records from Scotland, Wales and the New Forest area. Rare in Leicestershire and Rutland. 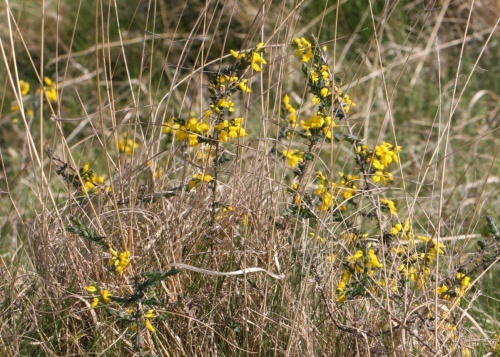 In the 1979 Flora survey of Leicestershire it was found in only 1 of the 617 tetrads.